Students from El Monte City School District’s Gidley School will showcase their science knowledge at the 2019 Mesa Robles/Wilson High School Science Olympiad Invitational on Saturday, January 19. Gidley School will send 17 seventh- and eighth-grade students to compete against hundreds of area students in the contest, which tests students on science topics that include physiology, astronomy and chemistry. East Whittier City School District will welcome students and parents to the new school year on Tuesday, Aug. 15 with renovated campuses and an opportunity to meet new Superintendent Marc Patterson during town hall meetings set for late August and early September. EWCSD completed maintenance and safety upgrades over the summer at La Colima, Laurel, Mulberry and Orchard Dale Elementary schools. The town halls will inform families about District programs, solicit input and contribute to a sense of community. Follow-up Story: The East Whittier City School District Board of Education approved the $85 million Local Control and Accountability Plan (LCAP) on June 19, reaffirming the District’s commitment to bolstering student achievement by updating classroom technology, reducing class sizes, and increasing funding for Visual and Performing Arts (VAPA) programs. 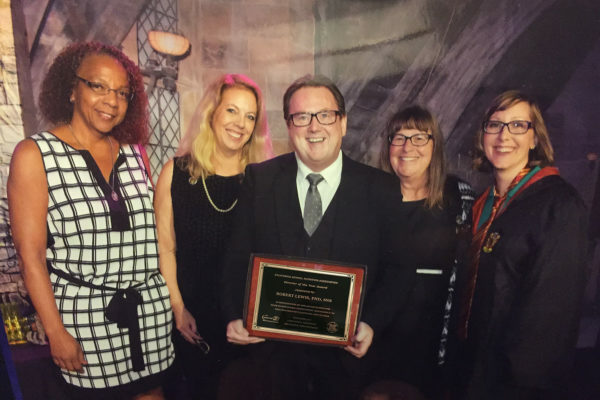 The LCAP highlights significant gains among all students in English language arts and math during the 2016-17 school year. The increases are credited to funds allocated for after-school student support and extra class periods provided in the previous year’s LCAP. 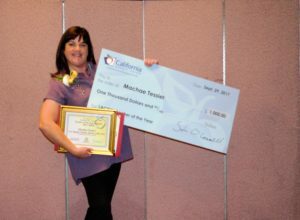 Machae Tessier, a second-grade teacher at East Whittier’s Ocean View Elementary School, was named one of 16 Los Angeles County Teachers of the Year on Sept. 29. Tessier joined the District in 1993 and has worked at Ocean View since 1997. 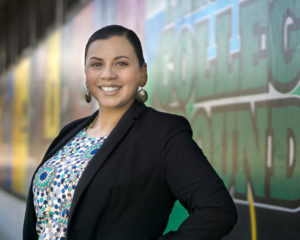 She serves as the school’s California Standards lead teacher for primary grades, as well as its language arts matrix committee chair. East Whittier City School District will host a groundbreaking and bond program launch ceremony at 10 a.m. Friday, June 16 to kick off the first facilities improvements funded by Measures R and Z, passed by local voters in November 2016. This summer, the District will improve La Colima Elementary School’s kindergarten playground, while providing fencing, painting, roofing, flooring and asphalt upgrades at four East Whittier City schools. The ceremony is at La Colima Elementary, 11225 Miller Road, Whittier. 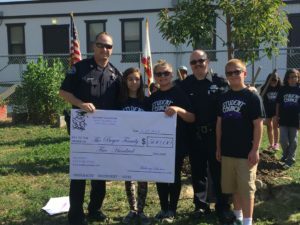 Follow-up Story: Students at East Whittier City School District’s Mulberry Elementary School planted a camphor tree and presented a $500 check to the family of fallen Whittier police Officer Keith Boyer in a special ceremony on May 23. Mulberry student council members led a Loose Change Drive that raised over $700, some of which paid for a plaque honoring Boyer. Eric Borunda, an arborist for the City of Santa Fe Springs and whose son is a Mulberry fifth-grader, donated the tree on behalf of the city. 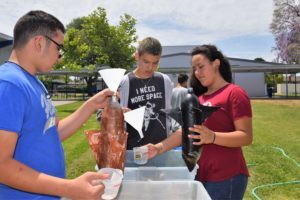 Follow-up Story: Sixth- and seventh-graders at East Whittier City School District’s Hillview Middle School combined lessons from science and math to launch water-fueled rockets on May 24 as part of the school’s STEM program. Seventh-grade science teacher Marc Rizzo has hosted the launch for the last five years. 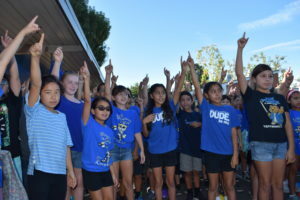 This year, science and math classes were combined to demonstrate the connections between subjects. Science students designed and tested the rockets; math students calculated velocity and overall success rates.